Pinellas County deputies weren't amused. 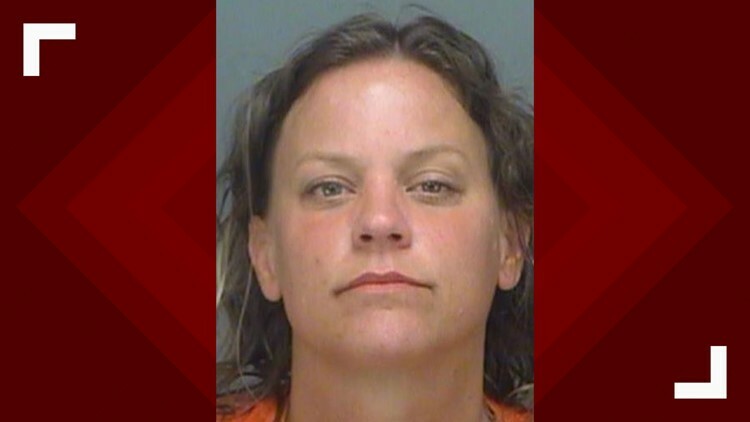 LARGO, Fla. — A Dunedin woman was arrested after she identified herself as "Blacksheep Trouble Squarepants," Pinellas County deputies said. According to an affidavit, the sheriff's office got a call about a man and a woman walking through Largo backyards Wednesday afternoon on 62nd Street N.
When police asked the woman her name, she told them it was Blacksheep Squarepants. The deputy questioned whether that was her real name, but the woman insisted she had changed it to Blacksheep Trouble Squarepants, and said she had a Colorado driver's license with that name. Another deputy, however, arrived on the scene and recognized the woman as Tami Lynn Bonefield, 45, because she had been stopped several days before. Bonefield then admitted to her real name. Bonefield was charged with providing a false name or identity to law enforcement and released on her own recognizance.